Pinnin' ain't easy! Pinterest has been a popular social media platform for nearly a decade now and it has been successfully adopted by hundreds of thousands of businesses and entrepreneurs during this time. It also boasts about a quarter billion overall users and an upcoming IPO that is highly anticipated. Pinterest is here to stay and is an essential asset for social selling. But not all digital marketers have gotten on board or fully utilized this versatile social media marketing platform, even in 2019. Unfortunately, Pinterest seems to be one of the platforms that many companies choose to skip in favor of Instagram, Facebook, Twitter, LinkedIn, YouTube, and Snapchat. I'm not saying you should ditch any of these tried and true platforms, but you should give Pinterest a fair shot and maximize its potential. When most people think of Pinterest they usually think of DIY projects, design ideas, weddings, food, fashion, and fitness media. Those are some common trends, but that's like generalizing that YouTube is just for cat videos, or that Instagram is just for Selfies. Don't let this close-minded perspective restrict your social media marketing efforts. So what are your initial thoughts about how to incorporate Pinterest into your marketing? Maybe just pin a few pictures from your website onto a board and wait? That simply won't cut it in today's competitive social selling world. According to the results of a study Pinterest conducted with its partner Oracle Data Cloud, 93% of active pinners use this social media to plan for purchases and another 87% have made a purchase after seeing a product they liked on the platform. However, many believe that Pinterest is not fully exploiting this potential: in other words, it is not the social commerce hub it should and could be. Statistics still show that, among the social media platforms that drive the most sales, Pinterest is still behind other top social channels like Facebook and Instagram. We must recognize that Facebook's success in this sense is a matter of numbers because it has a lot more users than Pinterest. Actually, if we consider data in proportion to the current amount of traffic, Facebook and Pinterest have similar conversion rates. Still, Pinterest has what it takes to do much better, especially as Facebook flounders in wake of scandal and user fatigue. Here are the top Pinterest social selling strategies to keep in mind to help you improve your overall social media marketing strategy in 2019 and beyond. If you haven't already, register your account as a Pinterest Business Account so you'll have access to Pinterest Analytics. Fill out a complete and detailed profile using all available characters and including relevant keywords. Try not to include too many annoying profile buzzwords! Include a professional picture of yourself or your business and link to your primary website. Link your Facebook and Twitter accounts as well. Choose your Custom URL and try and keep it consistent with your Twitter handle (same character restriction) or other social media usernames. Start off with at least one board but I'd recommend at least a full row of 6. Include clear keyword-friendly board titles, descriptions, and categories. Follow at least a dozen peers or industry influencers and tell friends, prospects, and customers that you are now on Pinterest to help start your initial following. Keep in mind these are all just general instructions I'd recommend but they could certainly vary based on your business, marketing strategy, and existing online network. Pinterest is made up of over 80% female users and is the only popular social network with such a gender gap. All other networks like Facebook are around 50/50, maybe up to 60/40 at the very most. If your businesses appeal strongly to the 80% female user base on Pinterest then you are probably in for a bounty of potential referral traffic. That by itself is reason enough for most businesses to have at least a moderate Pinterest presence. Or on the flip side, you can appeal to the much smaller but under-served male users and make your Pinterest boards a destination for male consumers. There are a lot fewer men using Pinterest but there are also a lot fewer accounts, boards, and pins to compete with for the male audience. If you aren't catering to these demographics then your competitors will be more than happy to take your traffic. While you don't want to overdo it and lose followers, from a marketer's standpoint Pinterest was made for social selling. Pin pictures that link to your Online Store, App Listing, Clothing Line, eBooks, Author Pages, Stock Images For Sale, or your pages with Affiliate Links. Drive sales almost directly from Pinterest. Or pin pictures that link to your own posts or another reputable site reviewing the product for sale, driving sales indirectly. Rake in the sales, or convert visitors to prospects by pinning pictures linking to a sign-up form or Call-To-Action free download. Or pin pictures that drive users to a Donation page for your non-profit or charity. 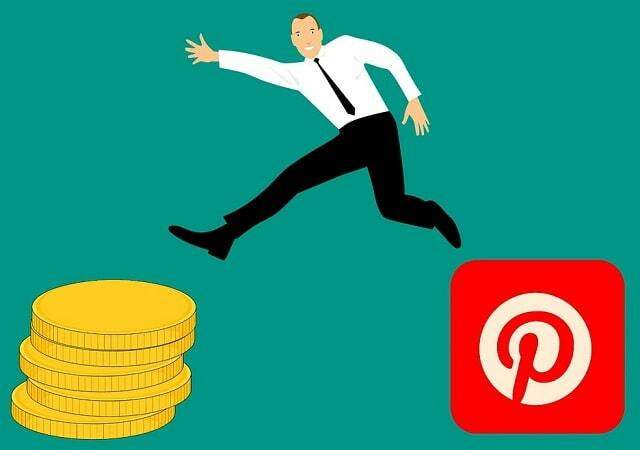 And while we're on the subject of monetizing traffic from Pinterest, you should certainly be linking to all of your pages that you monetize with CPM and CPC ads like AdSense, WordAds, or premium ad-serving networks like Federated Media. You can pin more than just images from your business websites. You can also pin videos from your YouTube Channel. If you're a YouTube Partner that monetizes your videos then this is a no-brainer. Earn money directly from your Pins with ad revenue and increased channel views and subscribers. Being a successful YouTube Partner can be very lucrative and Pinterest is just another tool to grow your subscriber base. Use group boards to curate top pins and invite industry leaders and influencers to pin on it. These boards can develop large followings and they can be win-win situations for everyone involved. And as always on any social network, make sure to engage with other users! It's called "social" media for a reason. Ask users questions or compliment their pins. Thank users that re-pin your content and quickly, politely, and professionally respond to any of their questions. Start conversations with other users to help build engagement. Pinterest accounts and pins are also picked up pretty easily by Google Images and appear in a significant amount of image search results. This is especially true if you really optimize the image description with a lot of keywords. This could actually be a double-edged sword and take away from some traffic to your site directly from Google, but more often than not it will results in an overall net gain in web traffic. But that is certainly something you want to determine prior to pinning some images. You may have a higher chance of ranking in Google Image searches through Pinterest than you would through your own website or blog. Just like every other major social network, you can obviously pay to promote your pins. Not a bad idea once in a while for a very important pin such as a critical business infographic, video, product listing, or image that you're hoping could go viral. But that depends on your business and budget. When it comes to paid advertising, I'd prefer to use it on Facebook Ads or Google AdWords. I haven't seen the best ROI on Pinterest advertising in my experience with several different types of businesses... but that's just what I've seen. I prefer to use Pinterest as a complimentary "free" branding and marketing tool that makes me money instead of costing me money. What is clear is that you can find some great deals on Pinterest advertising because it is underutilized by marketers and large corporations. As ROI continues to slide on other social networks like Facebook and Instagram, Pinterest Ads might be one of the better bargains out there. They just implemented a new analytics tracking program as well to make sure that your data is accurate. We all know that a huge portion of digital marketing is about content. The content you will post on Pinterest is known as a Pin. 80% of the content on Pinterest is repins, these are pins which have been shared and saved by people all over the world. If you want to stand out from the crowd you need to add original content yourself. To do this you can post an image, infographic, video, quote, photo, step-by-step tutorial. The richer and more stunning the image you post is, the more likely it will be shared. Another large part of social media is the act of sharing other people’s content. This will often get you noticed by the people you share from, but on Pinterest it will also give you more followers. Experienced social media marketing professionals know that sharing only your own content can get old really fast. You need to share the wealth because sharing is caring. Other users will notice and help support you in turn. Even SEO amateurs know that keywords are a huge part of creating great content which can be easily found. Keywords can come in the form of hashtags, tags, titles, descriptions and in the content itself. If you want to add keywords on Pinterest you need to edit your pin description. When you create or come to repin a pin, you will get the option to choose which board it will go in. But before you click on the board, look underneath the pin and you will see a box where you can change the description. Make sure the description is relevant and has plenty of keywords, you can use hashtags but stick to a maximum of 3 to stop it looking like spam. If you are a blogger or a small business, you may be able to find small group boards which you can contribute to. This is a great way of gaining extra exposure for your content as well as new followers. Look for boards such as ‘fashion bloggers, great recipes, home crafts etc…’ and you will be able to see at the top if there is more than one contributor to the board. If you see a group board, ask someone to invite you to it. Once you are in, you will be able to share pins with a larger audience and gain exposure. You will also benefit from following all contributors to the board. You will find that most will recognize you as part of the group and will follow you back. Social media marketing can be a time-consuming thing, because gaining success is reliant on you spending time on the platform, sharing content and sparking a conversation online. If you want to be successful on Pinterest you need to spend the time on it. Download the app on your phone and spend 30 minutes in the evening sharing content and saving pins you like. Follow 10 people and then leave it until the next day. By simply being active on the site, you will gain that interest from people and you are more likely to be discovered. Make sure that like other social media, you have a Pinterest button on your website so that people can go on and follow you. You will also want to add the option for people to pin your content too. If you are a Wordpress user, you can use plugins to achieve this. It will make it much easier for people to see your content, pin it and have it there for the future if they want it. You will also find that you’ll gain more followers through your website by adding the buttons for your audience to use when they want to. I'd recommend spending at least a half hour a week on Pinterest to promote growth, add pins, and refine your overall account based on user response. Feel free to share some pins on your other social media but I usually prefer to do the opposite. Remember that when prospects are looking at your boards and links, that usually means they aren't looking at your competitors. Take ownership of your brand on a visual social media platform used by millions and get every benefit you can out of it, large or small. I know over the years I've personally gotten over 15,000 Pinterest Followers, Pinned nearly 10,000 pins, created over 100 boards, and gotten hundreds of thousands of website hits from this platform. Some individual pins have resulted in thousands of website views for me! And I certainly know other marketers, peers, and companies that have enjoyed these benefits on a much larger scale. While Pinterest doesn't have the valuation of Facebook or Twitter, it should still most likely be a part of your overall social media marketing strategy. Remember that pinnin' ain't easy and that you've got to Pin It To Win It in 2019 and beyond! I hope you enjoyed this blog post about powerful ways to promote products on Pinterest + pump up profits with social selling in 2019. Interested in more articles about boosting social media marketing?